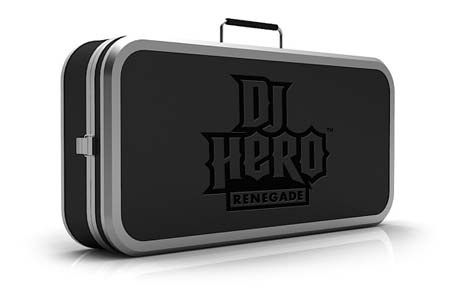 Fancy Making DJ Hero Cost Just That Little Bit More? But hey, if you're rich, you're going to want the Renegade Edition. No price has been announced yet but we're assuming given all the extra stuff it's not going to be cheaper. In the pack you'll get: a special turntable, a hardshell case that turns into a stand and a two-disc CD set of Jay-Z and Eminem music that features some previously unreleased tracks. Admittedly the stand looks rather cool. Check it after the jump.